tells about cosmos unexplained and splendid power, which gives everlasting essentiality. Unearthly tale of astronomical objects, presented by singing, dancing, acrobatics, music. 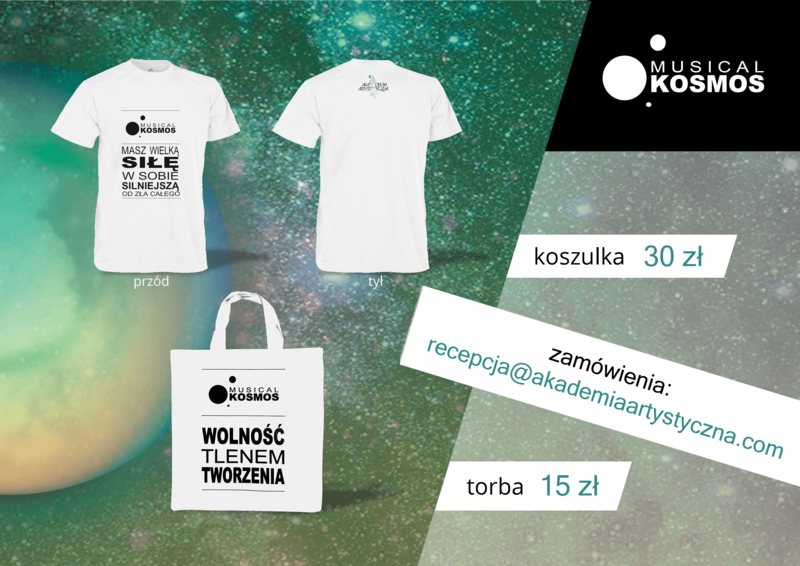 Citizens of the planet Earth, the young one and the mature one, we invite You to Space! Will You find Yourself in Cosmos? Or the Cosmos will find You? MUSICAL COSMOS portray beautyness, but also issues of modern world. We base on fundamental value and their transience, put in cosmic scenery. In the way accessible for the youngest audience this musical shows how important are love, friendship, hope and delightness in our lives. MUSICAL COSMOS as a play is great opportunity to introduce this form of art - musical - to children, teenages and adults in all its splendor and full shade of emotions: amusement, angriness, friendship, dedication, love; everything covered in enjoyable form of art - dance, acrobatics, music and words. Hand-made, extraordinary costumes, original scenography and painted horizonts enrich the play. Lyrics along with music touch audience hearts, induce reflection, but also brings laughter and a lot of positive energy. Admirable dance, breathtaking acrobatics will pleasure every spectator. 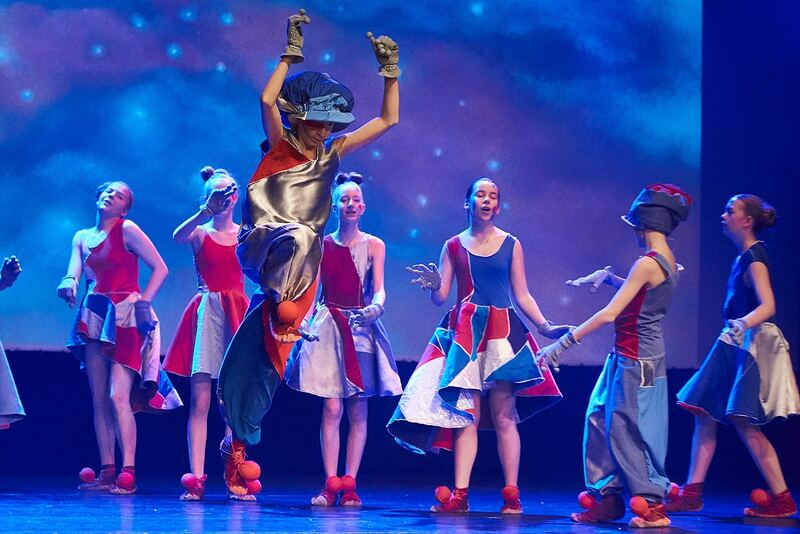 MUSICAL COSMOS is suitable for childrens (above 5 years old), teenages, adults and seniors. With wisdom - teaches, brings laugh, touches, induces reflection. Spectators in every age will find in this play a piece of their souls.